Home Our School Announcements Welcome, incoming 6th-graders! Austin ISD Superintendent, Dr. Cruz, and AISD communications staff joined us as we learned to say the Creed together, led by 8th-grade student Artist Tyson, and got our first ties as 6th-grade Gus Garcia men. 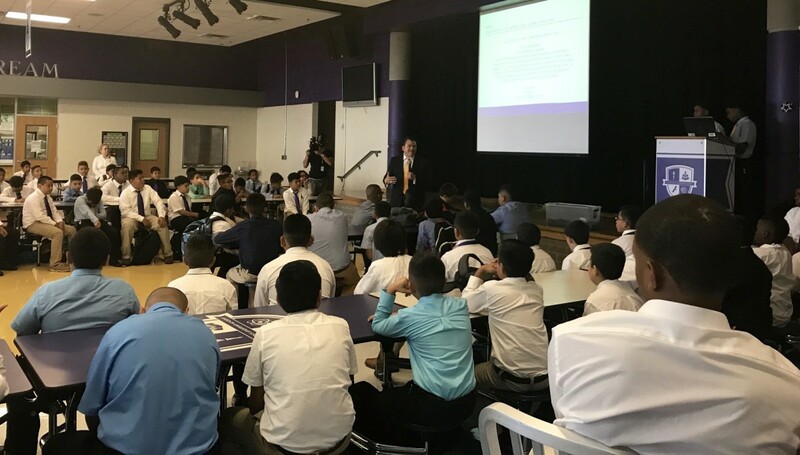 Dr. Cruz talked to us about leadership, taught us a valuable lesson of 'lift others as you climb', and even helped us learn how to tie our new ties for the first time! We are so proud of our young men, here's to another successful year at Gus Garcia YMLA!